Humble Hands Harvest is a worker-owned co-operative farm. 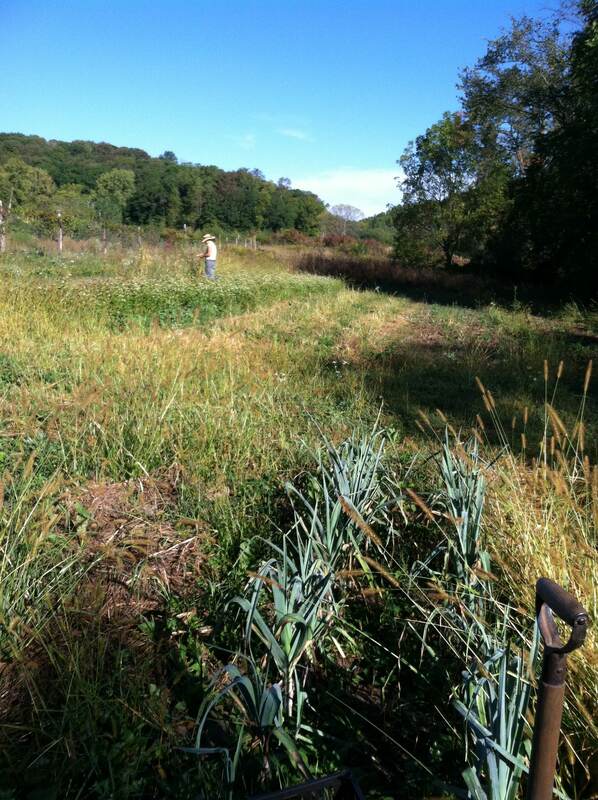 We grow 2+ acres of organic vegetables, grass-finished sheep, pastured pork, and fruit and nut trees. We distribute at the Winneshiek Farmers Market in Decorah; and through a Community Supported Agriculture (CSA) program for both our veggies and our meat. We found our long-term home on Hidden Falls Road, 10 miles from Decorah, in 2017, and began functioning as a worker-owned co-operative that same year. Humble Hands Harvest practices un-conventional, organic, visionary, slow-growing agriculture. We strive to create a resilient landscape that grounds a vibrant local culture. Humble Hands Harvest is the first enterprise on a piece of land that we hope to grow into a perennial polyculture commons – where a wide diversity of tree crops produce year after year, animals happily graze, vegetables are abundant through the seasons, and the soil is fertile and teeming with life. We are committed to regenerative agriculture that feeds our community, improves the soil, and connects people intimately to the food that we eat, and so to this piece of our earth. We’ve been in the news a lot! Check out this article on Hannah’s 2016 season in Inspire(d) magazine. It starts on page 50!